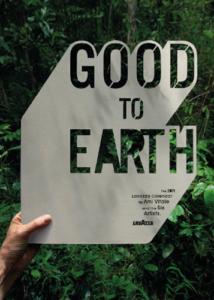 The 2019 Lavazza Calendar “Good to Earth” made its debut in Turin, Italy this week. In it, American photojournalist Ami Vitale shares some good news for the Earth through her photographs. Nature is the dominant force in the project developed in partnership with the United Nations Environment Program and under the creative direction of Armando Testa. The project incorporates six works of environmental nature art installations on four continents. The winner of six World Press Photo prizes, Ami Vitale has documented the wild nature and poachers of Africa, told the story of conflict between man and the environment, and worked on initiatives to save the northern white rhinoceros and reintroduce the panda into its natural habitat. Her “live the story” philosophy has taken her to over 100 countries, where she’s lived in mud huts and war zones, as well as catching malaria and disguising herself as a panda to tell the story of their secret life (Ami Vitale is the author of the best seller “Panda Love”). 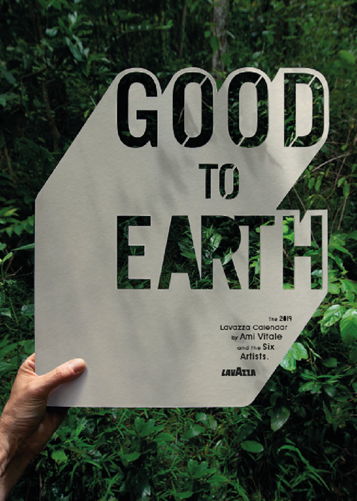 The project’s six works are inspired by six good projects for the Earth, identified by Lavazza and the United Nations Environment Program on four continents and six countries from Colombia to Switzerland and from Kenya to Thailand, via Belgium and Morocco.